For many years, the healthcare industry has slowly been expanding its practices to include more flexible care options for patients and doctors. 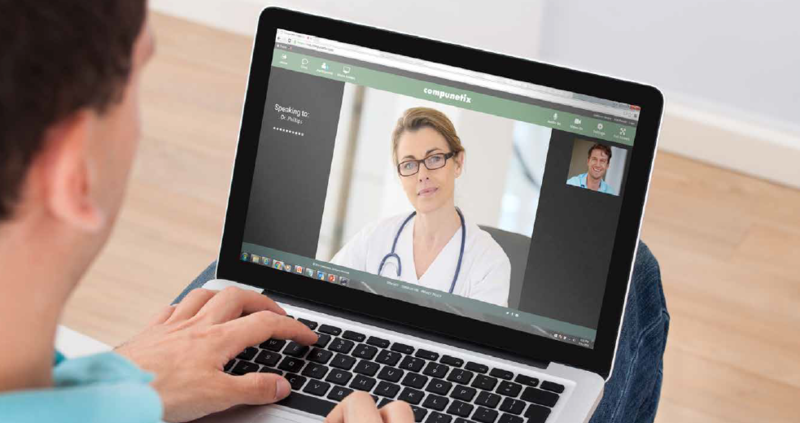 Telehealth technologies have offered a new generation of patient engagement and many hospitals have adopted Telehealth focused practices to varying degrees. One driving force of Telehealth is to extend convenient healthcare to rural communities, but for some health systems, these Telehealth solutions can be cost prohibitive. In order to continue successfully implementing these solutions to all types of health systems across the country, Compunetix offers a comprehensive suite of Telemedicine and Telehealth solutions that are not only high quality, secure, and reliable, but are also cost-effective and build off of existing infrastructures. The Video Call Center is and agent assisted video communication tool used within a health system to connect patients to the necessary health professional. With the ability to be customized and embedded into patient healthcare portals, this solution takes remote care to the next level. Directly from the portal, patients can initiate a video call connecting them to a hospital agent. Once incoming patient callers are connected to an agent, they can be directed to available doctors, allowing them to conveniently connect for evaluations or diagnosis. Kiosk Applications - Patient assistance at hospital kiosks. Secure and branded with simple one-click interface. Medical Training - Concierge interface for live surgery and healthcare education. Q&A interface offers students and attendees an interactive space for healthcare education or large video events.